Companies, especially those that sell products and services to customers, can benefit from using Customer Relationship Management (CRM) software and services in order to grow their customer base, create, develop and market products to existing and new clients and ultimately boost their profits. CRM enables businesses to control how they interact with their customers, from receiving sales figures and data to finding out their views about the company – enabling them to improve products and services as well as provide more efficient communication and customer service when needed. CRM may in theory, be a piece of software, but for businesses, it can be a crucial tool for helping them to improve. Using CRM requires strategy and knowing what it is that you want to gain from using it, why is why it isn’t just something you can install and hope it will do the hard work for you. CRM software will provide your business with a whole host of data about your sales and your customers. Knowing how to analyse these figures is crucial as well as working out what you will do with them. The data collected from CRM can help you both in the present and in the future and help you identify weak/strong points in your products in order to make changes or push what sells the most. The clue is in the title – ‘Customer Relationship Management’. Whilst you are ultimately looking to improve your sales, you won’t be able to do so without understanding your customers. Businesses can benefit greatly from interacting with their customers. Use the data gathered from CRM to give something back to your customers and in turn you’ll get something back from them. 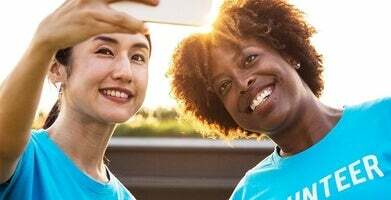 By valuing and rewarding your customers you’ll experience better customer loyalty which will continue to produce pleasing results for your sales. Whilst yes, some businesses use CRM in the short term to promote specific products and services, CRM should be used continuously in order to see continued results. The needs and wants of customers will continue to change and so it is important that your business continues to change and grow as well in order to keep them loyal to your business. Setting short term and long term goals can help you to develop CRM strategies that will continue to produce results. Let’s say for example, you owned a clothing line. By implementing CRM right through from the design process (by taking not of what your customers like, colours they prefer, which prices they’re most likely to buy at and putting this thought into your designs), right through to customer service (using CRM data to deal with queries quicker and more efficiently), you will have a streamlined, customer focused business which works at all levels to improve their experience and encourage them to continue to use your business. Your customers will want you to be reliable, accessible, offer them security, efficient, considerate, responsive and innovative. CRM data mining can help you to improve on all of these points and most of all, improve the two way communication between you both. Everyone from management right down to your administrative team needs to be aware of your CRM activities and how it affects their work. You could offer incentives based on data gathered from CRM in order to motivate your staff, as well as identify key areas for training and development. The better your staff know your customers, the better they can all work towards building better relationships with them. It’s all very well collecting data about your customers and their views, but if you don’t react and respond to these finding you won’t see any improvement in your business. A good way to get a deeper insight into your customers’ feelings could be to engage them through social media, for example, and actually ask them about how they use and what they would like to see from the brand. You can also push promotions, offers and giveaways and so on as rewards for interacting with you via your Facebook or Twitter page for example, as many online retailers do. 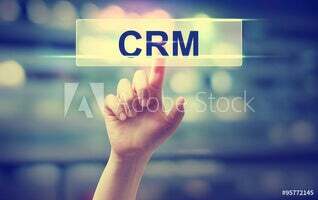 Choosing the right CRM provider is crucial for ensuring your success with this venture. Shopping around for the right provider as well as speaking to friends, colleagues and observing your competitor’s techniques can all help you in choosing the most suitable provider for your company. Mae sure that you choose a provider who understands your unique needs and ‘gets’ your business. Expert Market UK can also help you narrow down the choices. At the end of the day, customers want their shopping experiences to be as simple as possible (take Amazon as an example). Customers want to be able to see all of the information that they need as well as be able to contact you easily when needed. You can identify how to do all of this using CRM in order to make the customer experience even better than they expect. By following the above principles, you’ll be sure to employ successful CRM strategies for your business and hopefully develop better relationships with your customers as well as strengthening your business practices.